I don’t really like resolutions. I prefer goals. Is it too early to be thinking about goal setting for 2012?? 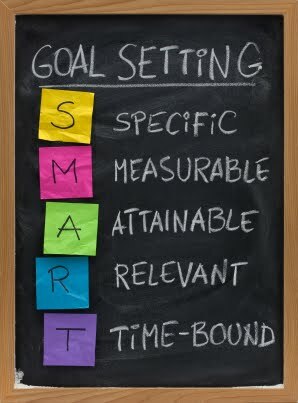 Are you familiar with S.M.A.R.T goal setting? According to TopAchievement.com Specific goals answer the “who, what, when, which, where, why” questions. Instead of just saying I want to “get in shape”, you need to be specific with exactly HOW you are going to do that, WHEN, WHERE, WHY, etc. You may need to consider if other people will need to be involved in your goal, depending on what it is. Measureable goals are ones that you can measure your progress or success. If it is a running goal for example you may say “I want to run a 10 minute mile”. The measureable part of that is being able to time yourself over the course of your training to determine when you successfully achieve that time. Attainable goals are goals that are actually possible, and that once you identify them you start an attitude shift to achieve them. It is unlikely that you will be able to attain a goal of becoming the Queen of England, so setting that as a goal is a bad idea. The idea here is not to set yourself up for failure by setting a goal that is not attainable. Realistic or Relevant goals tie in closely with Attainable. It isn’t helpful to set goals that are not realistic. If you have never jogged a day in your life then setting a goal to run a marathon in 2 weeks is simply not realistic or attainable. Relevant goals are smaller goals that are relevant to some bigger goal in your life. Timely/Time-Bound or Tangible goals are those that either have a timeline, or deadline, or are complete with some tangible achievement. If you set a goal, like I have, of wogging a half marathon in June 2012, that is a time-bound goal, and it is also realistic, attainable, measureable and tangible. I will receive a medal and a finishers t-shirt when I finish, along with a Helvetia burger! It is also a specific goal because I will be following a training plan to get my mileage up (from zero!-I have slacked off on the exercise again!) to 13.1 miles. I have just over 6 months to train. I will have to run 3 times a week, cross train, and eat properly to fuel those runs during the 6 month training period. 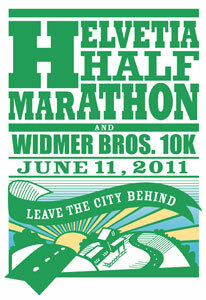 Specific: I have a goal to wog (walk/jog) the Helvetia Half Marathon in June 2012. I will have to begin following a training plan in January 2012 to start logging miles on my feet, outside. This will include walks(turning into jogs) at least 3 times a week, with cross training (cardio/weights/yoga) at least 2 days a week. I have no speed goal, my only goal is to train well and finish. Measurable: 13.1 miles. The training plan I choose to follow will also have incremental weekly measureable mileage goals. Attainable: Yes, absolutely. I am in decent enough shape now, and will fairly quickly increase my fitness level with proper training. 6 months is plenty of time to increase distance to be able to finish a 13.1 mile event. Plus, I have trained for and ran a half marathon before (Seafair Half in July 2006). Realistic: Again, yes, absolutely. It is realistic for me to complete my training and finish the half marathon. It is also relevant to my overall lifestyle goal of healthy lifestyle and activity. Time-bound and Tangible: Both! I have already signed up for the marathon (June 9th, 2012) and when I am done I will recieve a medal, t-shirt and Helvetia burger! Plus race swag, pictures and the knowledge that I did it! There ya go! A S.M.A.R.T. goal for my half marathon training. I have other goals for the year, and will be talking a bit more about them over the next couple of weeks. Do you have a goal for 2012? It is time to start thinking about it and get specific with how you are going to achieve it. Maybe using the S.M.A.R.T. system will help! 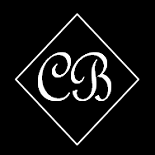 This entry was posted on December 11, 2011 by Corrie Beebe in exercise, goals.